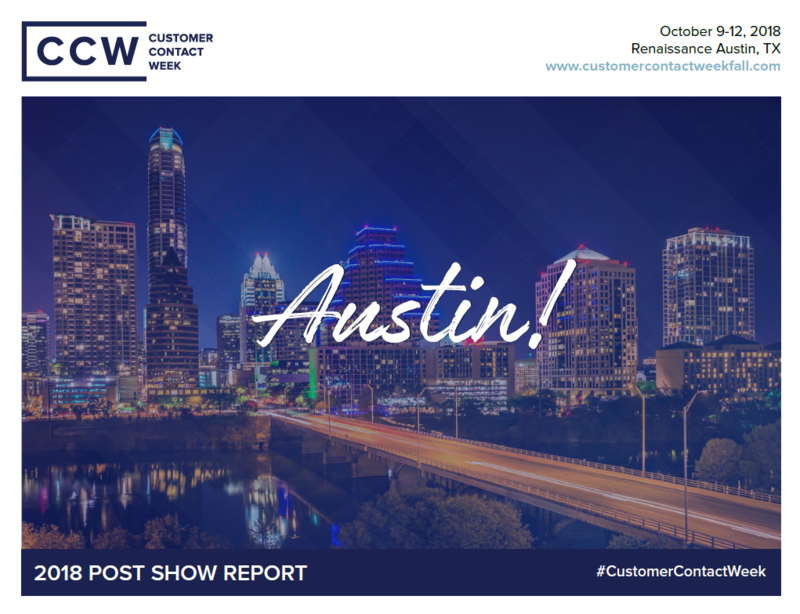 CCW Austin convened 350+ customer contact leaders at the Renaissance Austin this past October 9-12 for a week of intensive content and networking. The 2018 theme, Delivering World-Class Service with Speed & Efficiency, focused on the importance of speed and efficiency when it comes to delivering the best customer experience. We're returning to Austin this September 16-19, 2019! View the Post Show Report to see more about what happened at CCW Austin last year, including who was there, who sponsored, what we loved and what we learned. Then join us for CCW Austin in 2019!